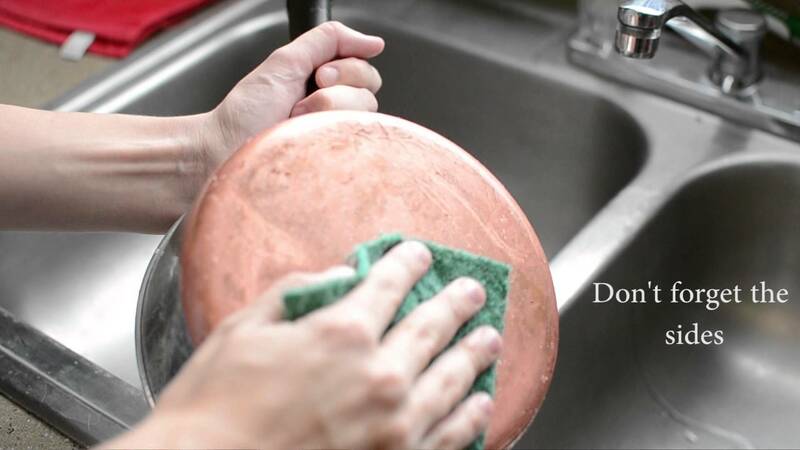 After some use, copper pans can lose their shine but never fear Ben is here with another spring cleaning tip to help around your home. 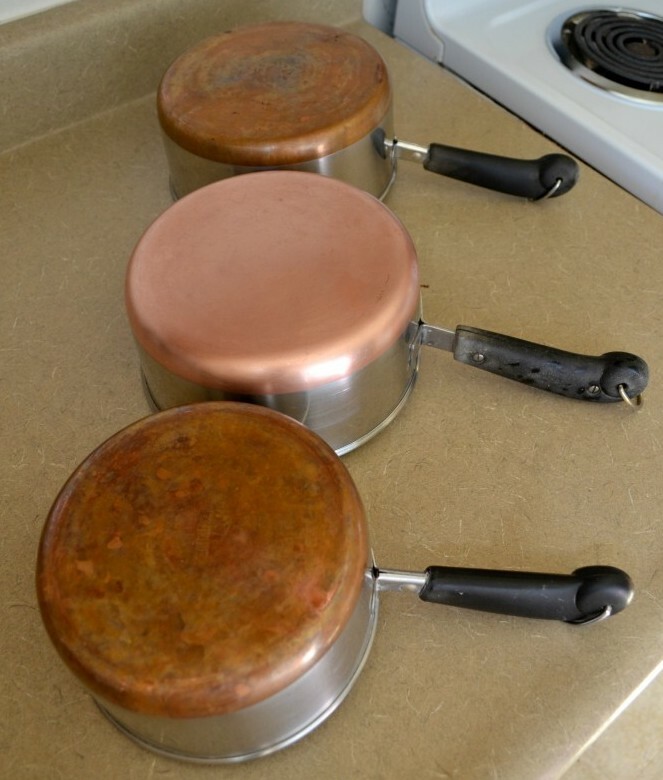 You can quickly, cheaply and easily bring all of your copper pans to their former glory in just a few minutes. Distilled white vinegar is a great household cleaner is available from all supermarkets at a fraction of a the cost of most cleaning products – although there is a odour, it will disappear within a couple of minutes. 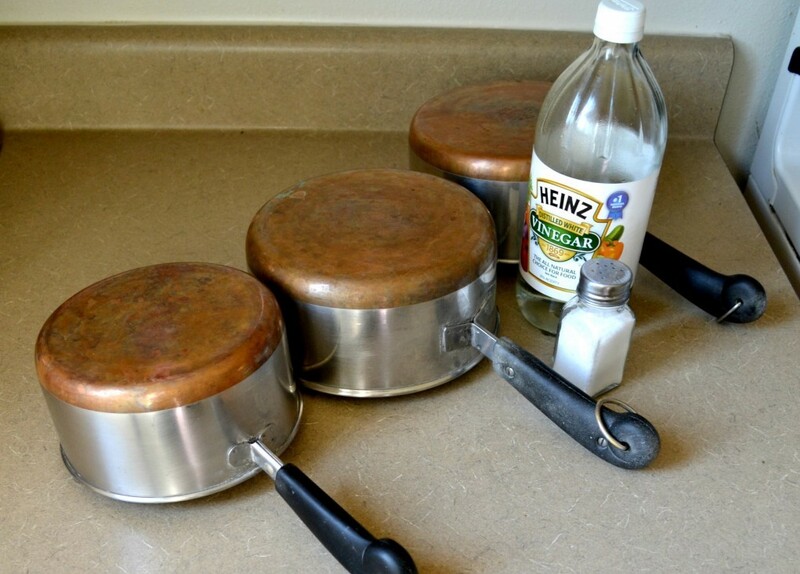 Start by rubbing a little vinegar onto the base of the pan, this will help the salt to stick. Next sprinkle the salt onto the base of the pan and begin to scrub – you will immediately see the vinegar and salt starting to work like magic. Add more vinegar and salt as required until you have the desired result. next invite your friends over to show off your shiny pans… and that it. Please feel free to follow our blog for more cleaning tip updates. Maid King offers Higher Quality Cleaning Services across Manchester, Atherton, Leigh, Wigan, Worsley, Warrington and Stockport.